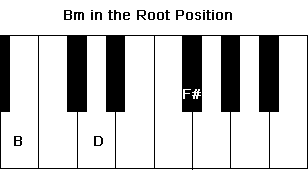 Before playing the Help piano tutorial by the Beatles make sure you know the names of the keys on the keyboard. 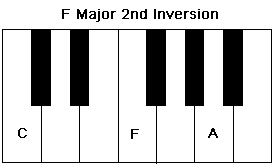 That's one of the few piano lessons you must follow in order to follow this piano tutorial. 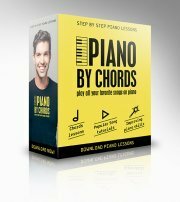 These free piano sheets are here to provide you with some interesting and relevant practising material for the Complete Beginners Piano Course. 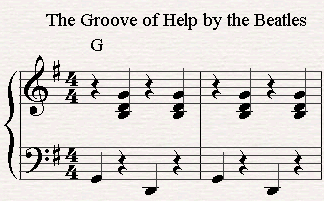 The Help Beatles Piano Tutorial contains the following chords: Am chord, F major chord, D7 Chord, G Major Chord, Em chord and Bm. 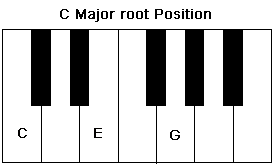 The last two chords Em/G and C/E are slash chords. If you're not familiar with slash chords you might want to Click here to go through this piano lesson as well. 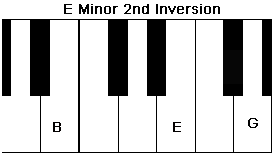 During this tutorial we will limit ourselves to playing all chords within the range of B under middle C and Bb above middle C with the right hand. 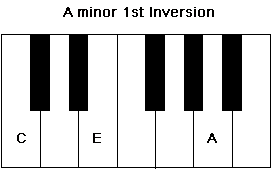 That means that we have to play all chords in the suitable Chord Inversions . 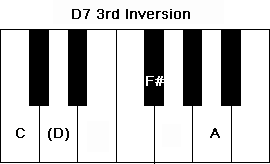 Here are the suitable chord inversions of all five chords within the given range for the Help Beatles tutorial. 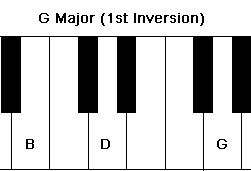 As for the left hand, we will place the 2nd finger of the left hand on the lower G and while we play the groove we'll have to switch our hand position. 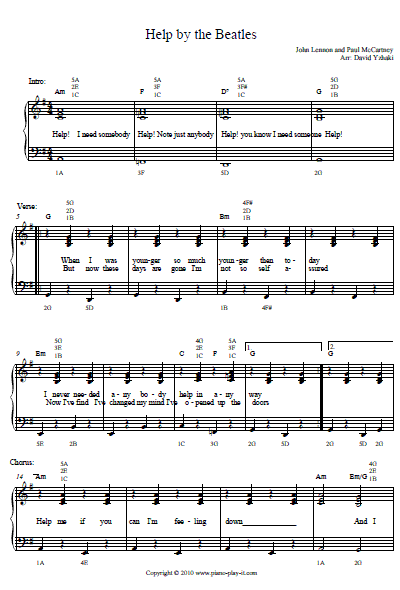 Follow the free piano sheet for the exact piano fingerings. I suggest you first practice playing one chord per bar (or sometimes two chords in a bar) before you move to the next level and add the groove. I discuss the Pop Groove in details at this page so check it out for details. Click here if you haven't signed to Piano Playground, our free E-zine yet. Make sure you do that in order to get the username and password codes for the free piano sheet I provide here under.